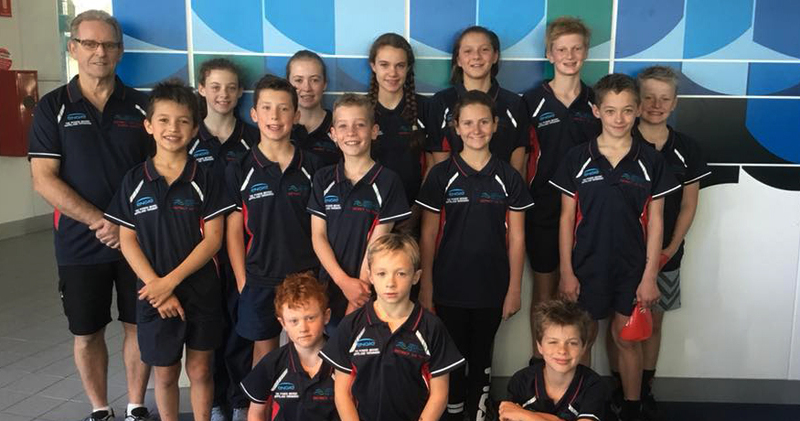 On Saturday 10 November, 14 swimmers from the East Gippsland Waterdragons, joined a number of other swimmers from across the region to represent Gippsland at the Country Optus Junior Dolphins meet at the Melbourne Sports and Aquatic Centre. This event brought together some of Victoria’s best country junior 8-12 yo swimmers, to compete at the state’s premier swimming facility. The Gippsland Team won the championship meet for a 25th year in a row. The Waterdragons performed well on the day with some fantastic results. They swam a total of 65 individual swims and came away with 2 first places, 2 seconds and 3 thirds and 23 PB’s. A number of the swimmers also swam in freestyle and medley relays for Gippsland gaining a further 6 first places. Waterdragons Head Coach Garry Cole, was also selected to be one of the squads 5 coaches on the day. Garry, who took over the Head Coaches role earlier this year, is impressed by the efforts shown by the young swimmers and is pleased that the hard work put in by all is starting to show positive results.